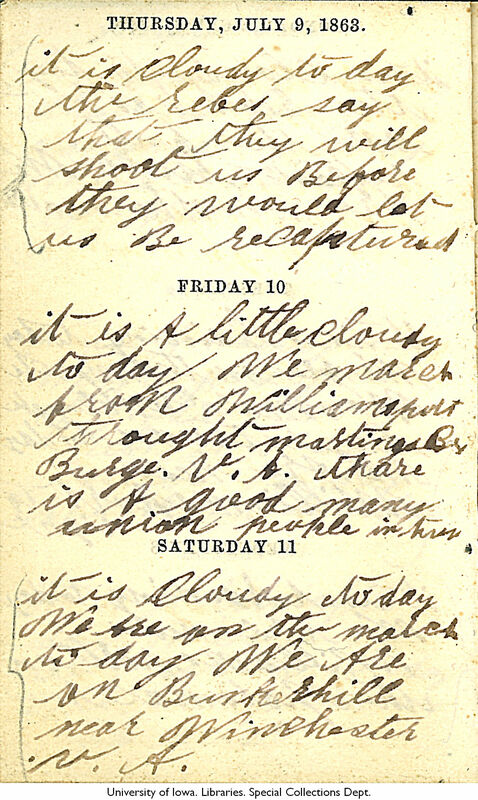 THURSDAY, JULY 9, 1863. it is Cloudy to day the rebes say that they will shoot us Before they would let us Be recaptured FRIDAY 10 it is A little cloudy to day We march from Williamsport throught martingsBu Burge. V.A. thare is A good many union people in town SATURDAY 11 it is Cloudy to day We Are on the march to day We Are on Bunkerhill near Winchester V.A.